Cholera is an acute diarrheal disease caused by V.Cholera (classical or EI T or). It is now commonly due to the EI T or biotype. The majority of infections are mild or symptomatic. Typical cases are characterized by the sudden onset of profuse, effortless, watery diarrhea followed by vomiting, rapid dehydration, muscular cramps and suppression of urine. Unless there is rapid replacement of fluid and electrolytes, the case fatality may be as high as 30 to 40%. Since the introduction of Cholera EI T, or biotype in 1964, the geographical distribution of cholera in India has considerably changed. West Bengal has lost its reputation as the “Home of cholera”. In several of the recently invaded areas, the disease is seen persisting as a smoldering infection. The classical severe epidemics with high mortality are not uncommon. Currently, the large epidemic foci of cholera are found in Maharashtra, Tamil Nadu, Karnataka, Delhi and Kerala. These states account for about 80% of reported incidence in the country. There is a declining trend in morbidity and mortality in cholera. The number of notified cases has declined from a high number of 1,76,000 cases in 1950 to about 4958 cases in 1994. Epidemics of cholera are characteristically abrupt and often create an acute public health problem. They have a high potential to spread fast and cause deaths. The epidemic reaches a peak and subsides gradually as the “Force of infection” declines. Often, by the time control measures are instituted, the epidemic has already reached its peak and is waning. 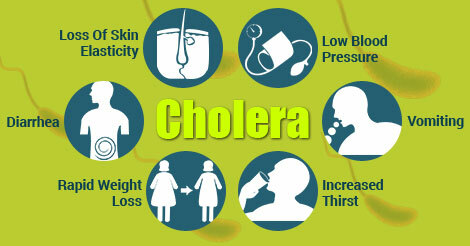 Cholera is a waterborne disease which is endemic in India and several outbreaks of the disease have been reported. Though sporadic cases are reported, no outbreaks of the disease have been reported from Maharashtra State. Cholera has the potential of rapid spread leading to an acute public health problem, special attention is required to be given to the surveillance and prompt followup action on reported cases of cholera. Regular surveillance activities are carried out through Daily and Weekly reporting system.